Like a pagri, or the turban in other parts of India, the Himachali topi is a necessary fashion wear during marriages, festivals, religious functions, fairs and other local events. 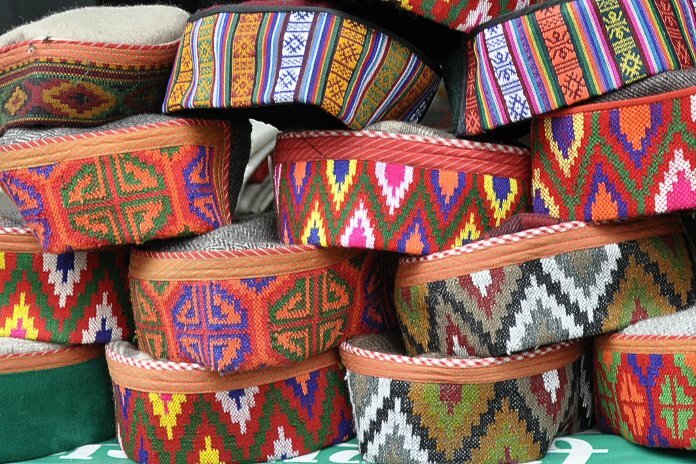 Traditionally, worn has a headgear to protect from the chilly winter winds, these colourful caps have percolated into cultural existence of the state to become the symbol of the state. Ten years a go, an article in The Tribune, spelt the doom of the Himachali cap. Today, the Himachali cap has crossed international boundaries and was talk of the town, last year, when Prime Minister, Narendra Modi donned the Himachali crown during his visit to Israel. 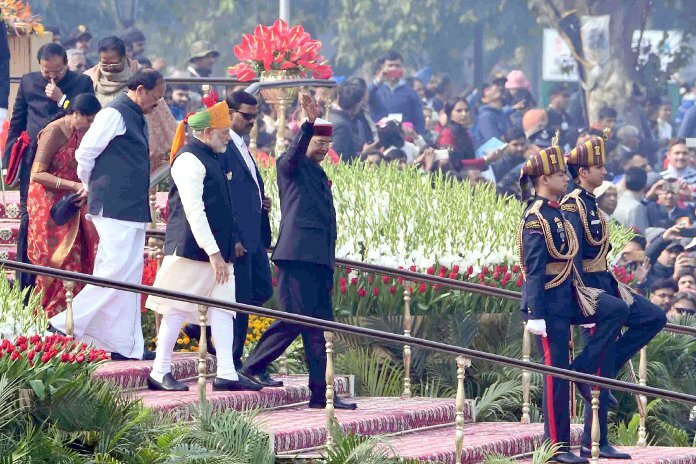 The topi was back in the news when President Ram Nath Kovind wore the maroons for the Republic Day celebrations on Rajpath in New Delhi. The bright colored, woolen Himachali cap is a proud headgear of the Himachal folks and has moved beyond just being a cultural identity. Its colours today are seen in context of political affiliations. 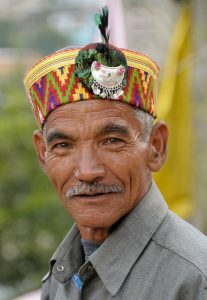 The Himachali caps have a flat felt head with upturned brims that have a muslin covering and come in multiple colours. However, the greens or the crimson/deep red have over a period of time caught political connotations. The former while has become now the Congress symbol, the deep red, the BJP colour. The significance of this cap as the political symbol is clear by the fact that Sonia Gandhi, back in 2003 addressed an election rally in Shimla wearing a Himachali topi with a matching Himachali shawl. 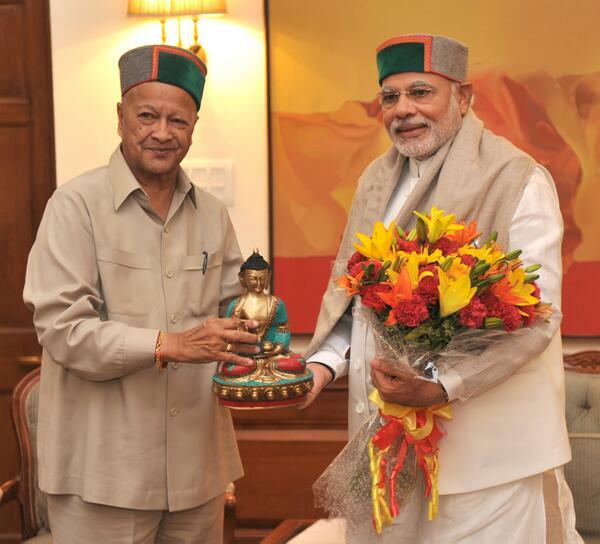 Incidentally, when Union Minister JP Nadda presented a maroon cap to Virbhadra Singh at a function, we saw an infuriated Virbhadra Singh; and when PM Narendra Modi was offered a green cap at a function in Shimla, he calmly accepted the green, but soon changed it with a red one. 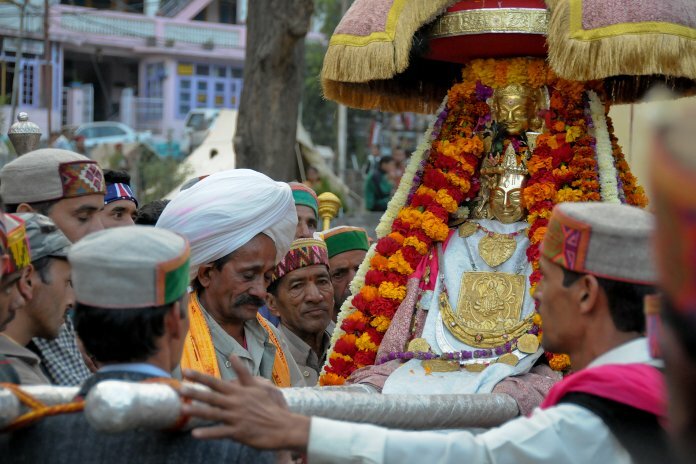 There can’t be better memento or gift that represents a state better than the Himachali Topi. Yes, there are other handicrafts, the beautiful Kullu shawls but nothing compares the charm of this traditional cap. 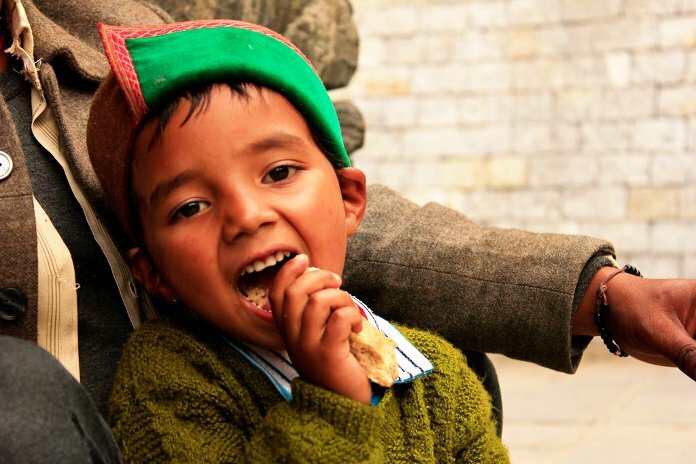 The topi though largely is worn in the regions of Shimla, Kullu, Kinnaur and other higher areas of Himachal. The cap usually is accessorized with either a brooch, peacock feathers, marigold flowers or pretty tassles of dried flowers of the Himalayan Brahma Kamal (Lotus of Lord Brahma). Traditionally, it used to be embellished with the brilliantly coloured Monal (Impeyan pheasant) feathers until the bird was declared an endangered species. Usually worn by men, the cap is worn by women too in the Kinnaur region, where it is known as thepang. 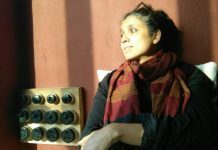 Women, elsewhere, in the state usually wear a dhaatu, a head scarf, typical to the state. 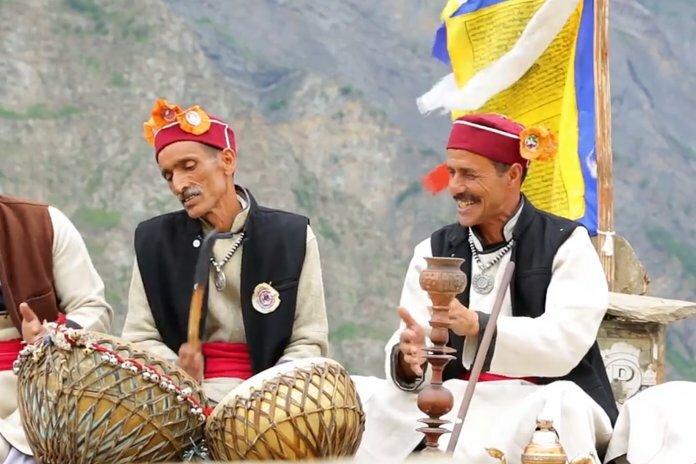 The Himachali cap, historically is said to have spread from Kinnaur to parts of the erstwhile princely Bushahr state, from where it went to Kullu through some migrants and to other parts of Himachal. 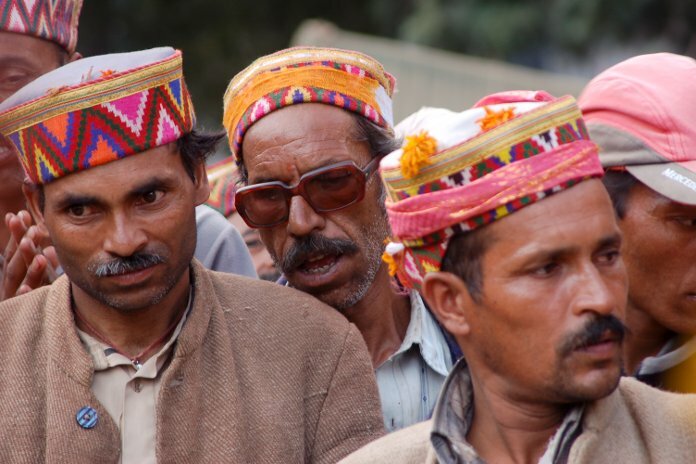 The Kullvi Cap is typically worn by people of Kullu district. It is a global icon with tourists going crazy about it. It is a beautiful souvenir to take away from this region. The lappet of the Kulluvi topi comes with multi-coloured geometrical stripes. The Kulluvi cap is worn with its decorative lappet, according to OC Handa in his book ‘Textiles, Costumes, and Ornaments of the Western Himalaya,’ covering part of the forehead from right to left. The Bushahri Cap, according to Handa, has a lappet “adorned with stripe of parrot-green velvet or shanil cloth.” The Bushahri cap, unlike the Kulluvi cap, he says is “worn with its lappet going from left to right. 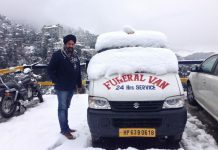 Interestingly, parrot-green was the ‘state colour’ of the erstwhile Bushahr state and the lappet of that colour on the cap symbolized it.” It is this cap that has become the symbol of the Congress, considering the state’s four-time Chief Minister, Virbhadra Singh of the Congress party, hails from Sarahan and is the scion of the Bushahr royal family. 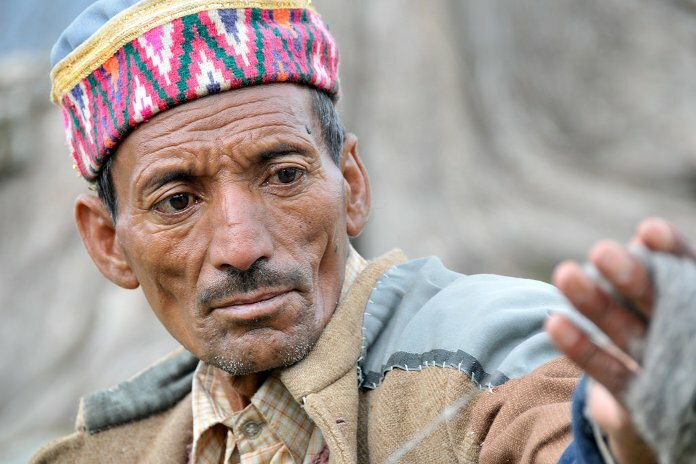 The Kinnauri Cap, worn in the Kinnaur region, according to Handa is identical to the Bushahri cap, “the only difference being in the colour of stripe on the lappet…. In the Kinnauri cap, the lappet carries a velvet or shanil stripe of deep red or crimson colour.” This colour has over a period of time now become the colour of affiliation to the BJP party. Considering Kinnaur’s proximity to the Bushahr estate, and the general affiliation of the region with the Congress party, the locals usually are seen in the greens now. So which one are you going to wear today? Please acquire the basic knowledge before you post anything. This article lacks facts and is disastrous to say the least . Are you sure Bushahri topi is green ??? Ask anyone in Rampur Bushahar the colour of their traditional cap . Similarly is Kinnauri topi red ??? Being an online Himachali Portal we expect you to write sense . Please don’t make a mockery of yourself . Kinnauri topi is green while the Bushahri topi is red . Take down this article and rewrite it . Thanks Rijul. The article has been written after research. And not by the trends of today that anyone has posted online. 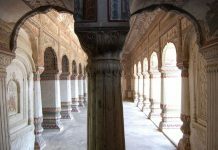 We have quoted OC Handa (the authority on Himachal history) for our research. We’ve linked the book above. Here’s the book for your reference.